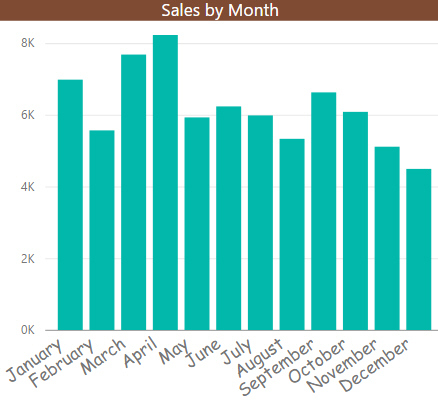 Changing the font family of a chart's X axis title. Charts with Comic Sans titles look oh-so-professional! It looks like the font family property will soon apply to any visualisation or section thereof. 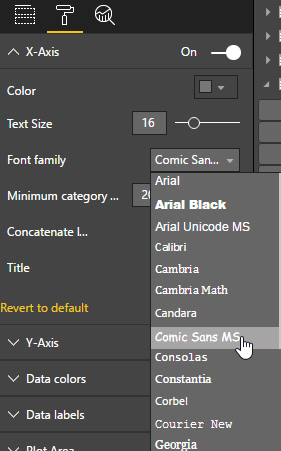 So you can now spend ages in long meetings discussing which corporate font you should use for your dashboards!